Pulling the cooler from the MSI GTX 1660 Gaming X allows us to see that the same tight cabling exists on this card as the 1660 Ti variant did. 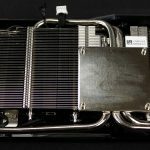 Be mindful of this to avoid possibly damaging connectors when removing the cooler should you need it. Also of note, MSI uses a non-standard thermal paste here as normally we see a paste that is more chalky or thick paste in consistency. this one looks like it is more fluid similar to Thermal Grizzly Kryounaut which makes me feel better about not re-pasting this GPU should you buy one. 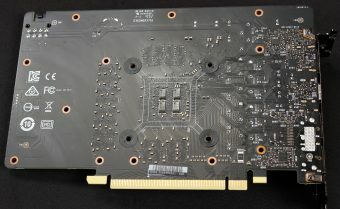 Here you can see the main components beyond the PCB for the MSI GTX 1660 Gaming X. The backplate does not have any thermal pads or any method of working as a heatspreader. 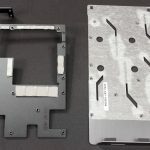 This is more a style and stiffening component as the interior of the backplate is plastic lined to ensure that shorts against the metal plate are avoided. 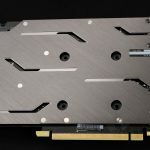 you can also see the heatspreader plate which is a single piece unit used to cool the VRAM and the VRM components. 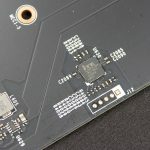 The MSI GTX 1660 Gaming X is definitely a more mainstream card as can be evidenced by the blank PCB points and the VRM which you can tell is not really designed to push too awful much. To be fair the TU116 is not much to push but even with such a small VRM it is packed with some powerful bits. Here we get a good shot of the main power side of the card. 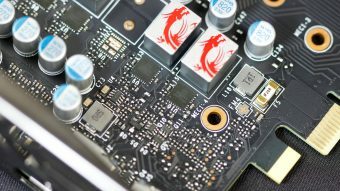 you can see the custom inductor/choke design with MSI dragons printed on them. That adds some cool factor even if its something you may never see. the VRM as you look at it is a 5 Phase design for the vGPU with a two-phase for the memory. 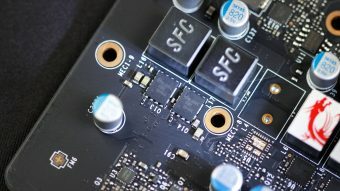 The memory VRM’s use On Semi FDPC5018SG Dual N-Channel MOSFETs rated at 32A. The GPU VRM uses On Semi NCP302045 which are 45A each and is running 4 Phases. They are being controlled by an On Semi NCP81610 in 4 channel mode to control the VGPU. The uP1666Q seems to be in place for the two-phase memory VRM control. The memory is one we have seen before, or somewhat. Micron D9VVR which are Micron MT51J253M32-80 and are 8Gbps spec. 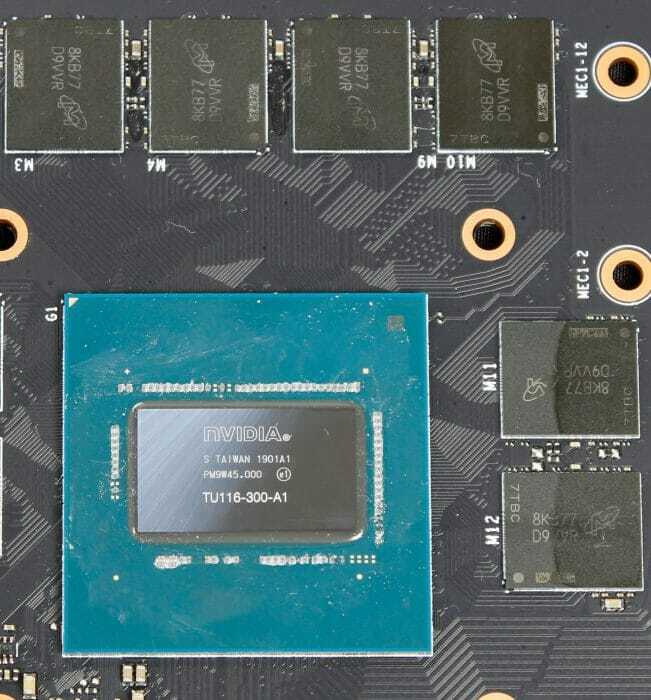 These are GDDR 5 modules which needless to say is a pretty big departure from what we have come to know from Turing based GPUs. 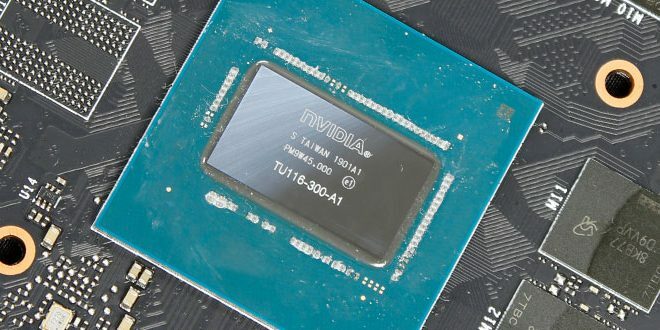 Turing based GPUs up to this point has employed 14Gbps GDDR 6 with the 1660 Ti adopting 12Gbps GDDR 6 modules. 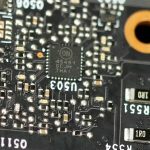 The control IC’s for the MSI GTX 1660 Gaming X card are as follows. 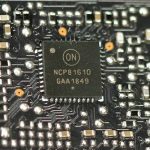 On Semi NCP81610 is an up to 8 channel controller which is feeding the GPU VRM most likely in a 4+0 configuration. 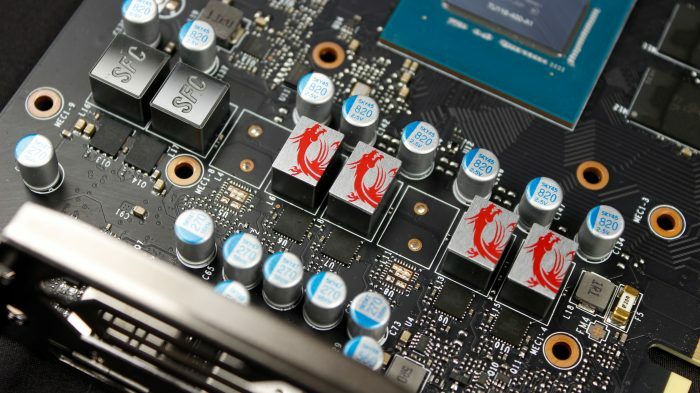 Normally I would expect them to run a 4+2 and just attach the memory, but MSI chose a different solution. On Semi NCP45491 are used for Shunt monitoring to make sure the card is not pulling more power than the defined limit allows. Not really sure why this is necessary as the card never draws near its power limit and theres only one power connector. 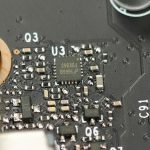 iTE 8295FN microcontroller appears to be for both LED control and possibly even fan control as well. The uP1666Q is in place for the two-channel memory VRM control. 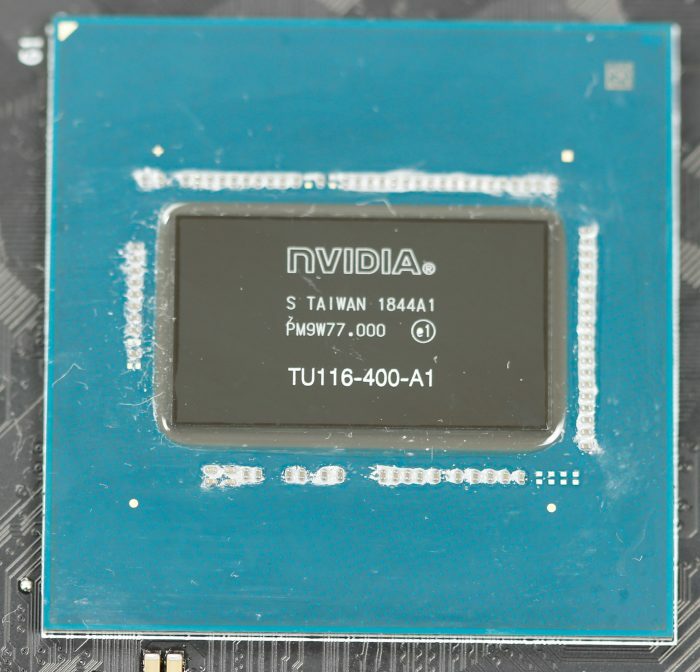 Here is the TU116 GPU (From the 1660 Ti Gmaing X but they are identical as you can see above except marked -300-A1) and it is SMALL. I mean this is one of the smaller GPUs I have seen to date and definitely small compared to the other Turing offerings. Then again it is omitting RTX components and all that extra baggage which means less to pack into silicon. I do with the Die was a little bigger just to give a lower watt per sq mm dissipation. The card runs super cool but with a larger die surface, I could only imagine this card would almost be able to run passive.